1 × = 6 Required Please enter the correct value. Since OPEC agreed to cut oil production on Nov. 30, oil prices have soared 17%. And that has helped boost American oil stocks. 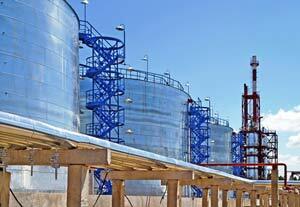 To help you profit from this new oil boom, we've made a list of the best oil stocks to buy now. And what makes these stocks great purchases is the fact that oil prices are heading even higher in 2017. Money Morning Global Energy Strategist Dr. Kent Moors predicts oil prices could head up to 20% higher in the first half of the year. Moors says certain oil stocks, "the darlings of energy investors," are about to make a comeback now that oil prices are rising. In fact, Moors says these oil stocks are "some of the very best energy investments you can make." Saudi Arabia and OPEC lost their war against American oil production, and that means the top crude oil stocks will pop in 2017. The price of oil was over $100 a barrel in 2014, and high oil prices were spurring American oil companies to expand into more expensive shale oil projects. You see, shale oil isn't as easy to get out of the ground as other types of oil, which is often found in underground reservoirs. Shale oil requires horizontal drilling into rock formations and a special chemical process to extract the oil from the rock. Because of this process, shale oil is only profitable when oil prices are high. In 2014, oil needed to be over $80 a barrel for shale from the Permian basin to be profitable. With oil prices trading roughly $20 above that, American oil production was booming. And so were American crude oil stocks. That's when the Saudis tried to put American shale oil out of business. Because Saudi Arabia has such vast oil reserves – roughly seven times the amount of American reserves – they could produce enough oil to change its price. And that's exactly what they did. The Saudis rejected an OPEC production cap in November 2014 and then started pumping more oil. They gambled that by flooding the oil market, oil prices would fall and American shale oil producers would be forced out of business. The Saudis would take a short-term hit to their profits, but they'd win back market share from the American producers. Oil prices plummeted to a low of $35.59 in March 2016. American oil production fell 12% in just over a year. Between June 2015 and July 2016, U.S. oil production fell by 1.2 million barrels per day. That put a major damper on even the best oil stocks. But while oil production fell, lower oil prices forced shale producers to get more innovative. Between 2014 and 2016, the break-even cost for shale oil from the Permian basin more than halved. Shale oil is now profitable just below $40 a barrel. By 2016, with oil prices at historic lows, Saudi Arabia and OPEC gave up. In September, OPEC agreed in principle to cut oil production in an effort to drive prices back up. On Nov. 30, OPEC and 11 other countries signed the agreement. Since that agreement was signed, oil prices have surged 17% to $54.40 a barrel. Now that shale producers have lowered the break-even price for their oil and oil prices are rising, American oil companies are raking in money again. And Moors says higher prices mean these top oil stocks "are about to come roaring back in a big way."